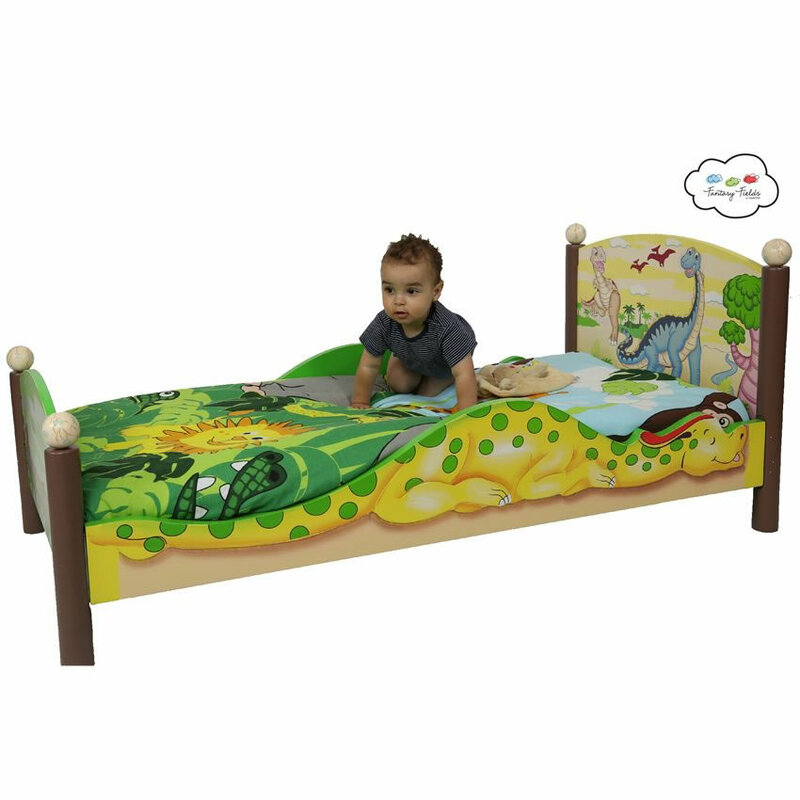 Dinosaur Kingdom Toddler Bed - Travel back to the Jurassic with our Dinosaur Kingdom Toddler Bed. Imagination and creative, this piece is the perfect way to jumpstart your little one's dreams. A bright and cheerful brontosaurus lines the edge of the bed, protecting your little one from any bad dreams. T-Rex and other dino pals line the head board and the foot board displays the land before time landscape. 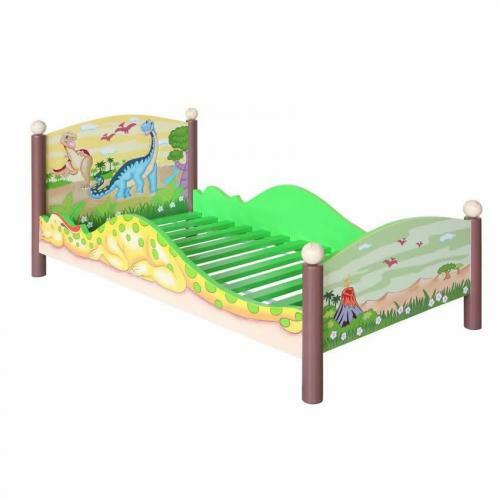 A masterpiece of innovative and exceptional artwork, this toddler bed is sure to be a hit!